It is the first day of the summer holidays and J and I have embarked on a fun-filled day. We have a relaxed morning at home before heading out to the local library to register for the Summer Reading Challenge. Next stop, The Waterside Arts Centre in Sale to watch a performance of The House at the Edge of the Universe. The Waterside is celebrating its first Family Summer Festival this year and has a whole programme of activities ranging from children's theatre and performance workshops to arts and crafts. It has partnered with a local community arts group Two by Two for the launch of Sale Art Zoo – an exhibition and safari trail of life-sized animal sculptures and zoo-themed events all across Sale town. J's school too has been helping out with the project. The children helped decorate one of the animal sculptures that is now on display in the town. The House at the Edge of the Universe by Four Shadows Theatre is being performed, not in the larger Robert Bolt Theatre, but in the cosier upstairs Chambers. Tickets are GA (general admission). This means there are no allocated seats and seating is on a first-come first-served basis. J and I arrive well in time to get seats in the second row. As we wait for the performers to take the stage, all we see is piles of cardboard boxes in the performing area. Perched on top is a house. The House at the Edge of the Universe, I presume. Though I can't be too sure as it simply sits there looking very small. The two main actors, postmen Barry and Larry of 'Roy's Mail' tell us a bit about themselves and what they do. They then embark on a mission of a lifetime to deliver a package to the House at the Edge of the Universe. What is in the package? Can they successfully deliver it? Can a cardboard spaceship really fly into space? How? 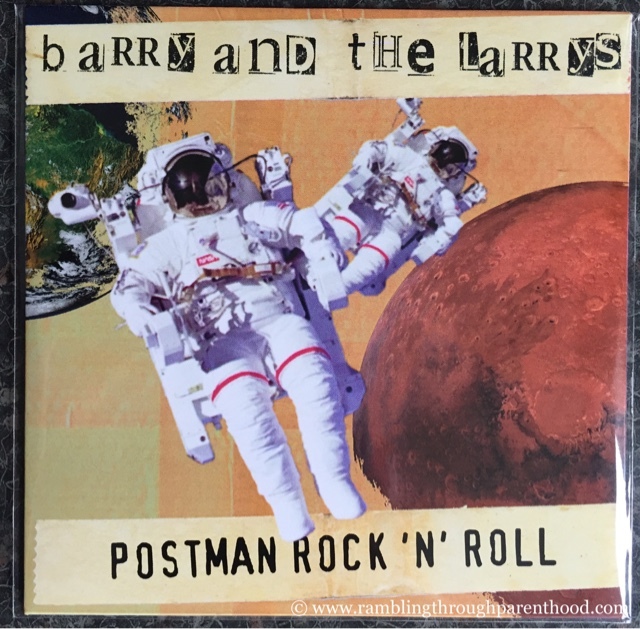 The show is all about Barry and Larry's marvellous adventure through zero gravity as they go about their jobs of being postmen/astronauts. Or as they would say, postronauts! There are plenty of laughs along the way. There is song, dance and live music. There is smoke, flashing lights and drama. And there are nods to 2001: A Space Odyssey and Hitchhiker's Guide to the Galaxy. These I suppose, are meant to keep the nerdy grown-ups like me happy. Overall, it is a thoroughly enjoyable experience. J's favourite bit is the slapstick routine in space. He isn't too impressed by all the smoke though. We both enjoy the music, and are pleased to have received a CD of the original soundtrack at the end of the show. The live drums and guitar is just the impetus J needs to sign up for music lessons in the new school year. Result! 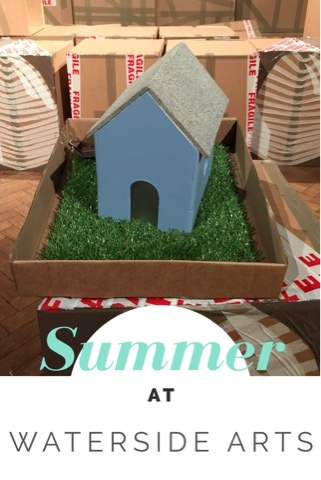 As always, there is lots happening at Waterside Arts through the summer and beyond. Disclosure: We were given passes to attend a showing of the House at the Edge of the Universe. All opinions are my own.